This is a special thank you for Kavi of wingrish.wordpress.com for nominating me for two awards. I started blogging to address some stress issues and have found it to be very rewarding. So it is always very nice when someone else finds it rewarding also. It is also quite nice to share blogs that you enjoy reading and nominate them as well. 7) Soon I hope to start a women’s ministry. 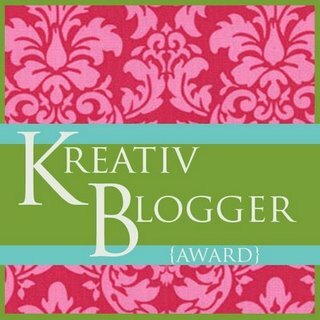 The second award from Kavi is the Lovely Blog Award. I am again thankful because I hope that love is the message that is heard in my writing. Both awards require that I nominate 15 blogs that inspire me and shares a lovely message. All are really great sites and I hope you enjoy them as well. 4.Nominate 15 other bloggers for this award and link to them. 5.Notify those bloggers of the nomination and the award’s requirements. 1. Include the blog award logo in your post. 3. Nominate 15 other people, and let them know you have done so. Deirdre, you amaze me…not only a black belt in faith, but also one in Karate! 🙂 Thank you so very much for my nomination for the Lovely Blog award. Although I admit feeling very privileged to be given recognition from such a quality person, please forgive my saying that I’ve declared myself out of the Award stream. I’ve received many fabulous nominations and have teared over with many of them. However, here’s where I am today. Please pass it along to a newer blog. Awards are essential for newer bloggers; especially supporting the writers who come within a hair’s breadth of giving up. I keep my eye open for just such hints from these newer people and comment my encouragement. Again, thank you. Like you, I read as I can. I don’t get around to all subscribed blogs all the time, but I visit when I can. I cherish my subscription list. Your blog is one of them. Hearty Congrats Deirdre, God bless. Love the black belt & preacher combo! Go for it !!! Thank you so much for thinking of me Rev. Deirdre and God bless you!